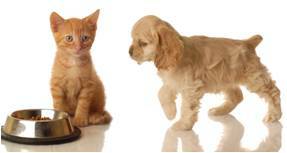 There are many ways to get cheap Pet Supplies and Food for your Dog Care and Cat Care expenses. You can find cheap and low cost supplies in store and online. It's especially important to stock up on your pet's food, treats and litter products when they're on sale or BOGO-buy one get one free, and combine those sales with coupons! To aid you in doing this, I've attached the Best Time to Buy listing for Pets (only), and even provided a link below for you to print cat food coupons, dog food coupons, cat litter coupons. Check this link often as the offerings change each month. If you're checking our Best Time to Buy listings, which you should be doing so that you'll know when to purchase at the best prices, then you'll see that these are the best times to stock up on Pet Food. And save up your coupons just prior to these months so you'll pay even better prices! Look for Coupons & Sales on Cat Litter & combine them for great savings! You can also save a great deal of money on things like Litter, especially if you're willing to try a few different brands (and your Cats don't object). When you're printing online coupons at Coupons.com, Redplum, or SmartSource and you see those high-dollar litter coupons @$3.00 to $5.00 snag them. Print 2 on each computer available to you. Then be on the look-out for the sales on those brands of litter. Sometimes they're unadvertised sales, so just scan the shelves when you're in the store. When the sale hits, stock up! I recently got 6 bags of litter for $1.99 each w/6 $5.00 online coupons combined with a sale! If you or your cat(s) or dog(s) are brand loyal, don't fret. You can still save! Visit our manufacturer's list and find your manufacturer. If they have a way for you to sign up for their email list, do it. If they don't, find their "Contact Us" page and shoot them a quick email telling them how your pet loves their product. Request a free sample of any new product line and ask to be added to their email list so that you can receive discount coupons. Also ask if they can mail you any free or discount coupons now. Most times they will! I did this with one of my cat's litter brand products, and the manufacturer sent me five $1.00 off coupons! If you purchase your Food and/or Supplies from places like Petco, PetSmart or Pet Supermarket, it pays to join their free Rewards Programs (see details below). Also, if you shop in-store, be sure to take your coupons with you, because Petco and PetSmart accept store, manufacturer (Coupons.com, Redplum, SmartSource) and competitor's coupons! Bow-wow & Meow!!! Earn 5 Reward Dollars or $5 in-store credit for every $100 spent in-store and online. Redeem your rewards in-store or online. Be sure to check their clearance section for great discounts. Preferred Member Pricing on more than 1000 specially marked in-store items each month. Sign-up to receive Birthday greetings for your dog or cat. Advance email notice of in-store specials. Access to private sales online and in-stores; exclusive partner offers; articles; online account management. Purchase 10 bags or cases of the same brand of dog or cat food within any consecutive 12 month period to receive a voucher for a free bag or case of cans of the same brand (certain brands are excluded, trial sizes do not qualify). Amazon.com or Ebay.com often have great prices on pet toys. Just be certain to factor in the price of shipping when comparing prices. I rarely pay shipping on Amazon, because my purchase is either over their minimum for free shipping, or I leave items in my cart until I reach the minimum. Lastly... get creative and you don't need to spend a dime on some toys. Do you have a cat(s) or dog(s)? They love it when you throw balled up pieces of paper for them to catch or chase. Roll any form of string, yarn or box tie across the floor and they'll chase it! Just don't leave it down, because some of these items can be swallowed. Have anything with a laser light on it and they'll chase the light. Place an empty box or bag on the floor and some will play inside it.